Surfers searching for a more environmentally friendly surfboard to take to the waves may be interested in a new eco-surfboard which has been created called KORKO. Inspired by those Surfing School Surfboards, Notox wanted to take them a little further. With a more careful shape and a more efficient construction in terms of environmental impact. We have decided to prove it is possible to reuse a wide variety of waste for manufacturing fun products. Not only have we managed to design this surfboard and set of fins as performing as traditional fresh gear, but above all, we have managed to conceive something we can surf with, while staying in line with our convictions. Following the success of our flax fabrics surfboard (aimed at intermediate and experienced surfers), we now wish to reach out to surfers from every level, but also to surf schools by offering them adapted and fun gear. That’s why today we are launching Project “Korko”: A safe and robust surfboard. 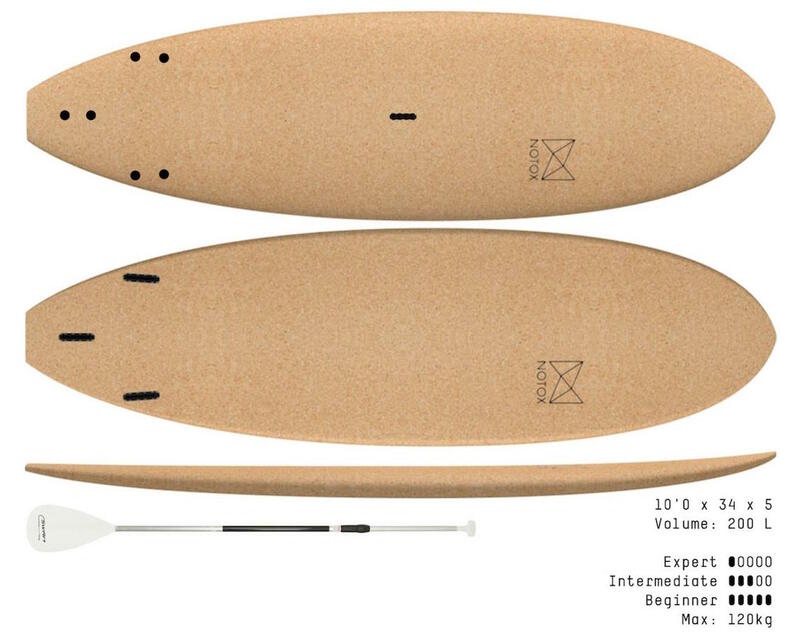 The Korko boards will be available in 3 different sizes: 5’6, 6’6 and 7’6. 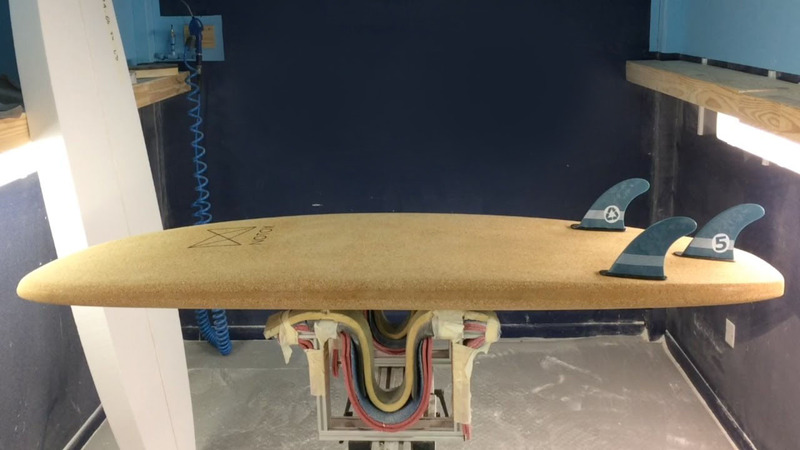 The manufacturing process behind the KORKO surfing surfboards is intended to cut out the harmful techniques that in turn contribute to environmental pollution and the deterioration of the ocean’s health. This, in turn, helps to make it possible to enjoy the majesty of ocean sports without utilizing equipment that is crafted with unnatural materials and that contributes to a more polluted environment. Notox is a French company located in the Basche country. The ocean, our playground, is a precious gift. Also, the surfing community, each and everyone one of us, has long since been committed in its preservation. 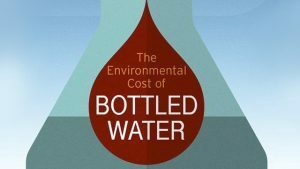 Paradoxically, the manufacturing of most surfboards has been polluting the planet and quite threatening the health of those who design them. That is the reason why we have been dedicating all of your energy into designing surfboards that are both effective and health & environment-friendly.